Your application can require merchants to specify their account details in your system and any other user preferences you may require. Set up a new tab in Ecwid Control Panel, which will serve as a settings page for your users. This tab will load a page from your server in an iframe in a separate tab of Ecwid Control Panel. See Native Applications for more information. 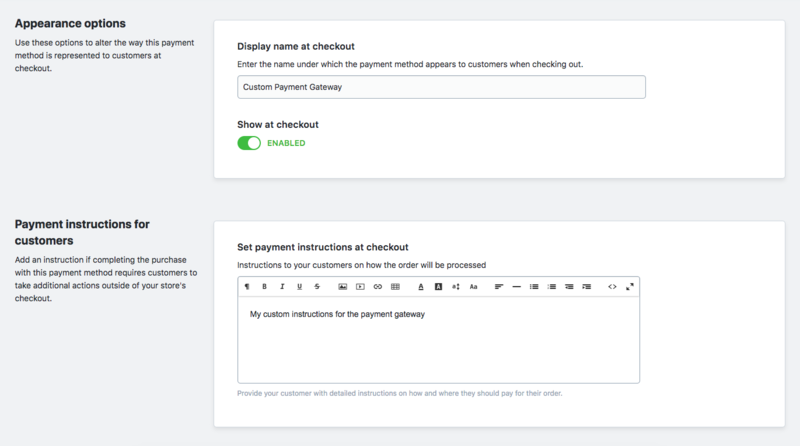 Get started quicker with our payment integration template. When your app is installed in merchant’s store, merchants are able to change its name, position and description just like any other payment method. You can edit payment method added by your app just like any other payment method in Ecwid Control Panel > Settings > Payment > Select payment method > Actions > Edit. A merchant will see a standard interface for editing payment method: edit payment method name, description, instruction title and text. Using the Actions button merchant can also sort payment methods in the way they prefer – move it up or down the list of available methods. If a merchant clicks on Account Settings, then Ecwid will open embedded interface of your application in a popup on the same page. Important: Account Settings button will only be visible if your app is Native. 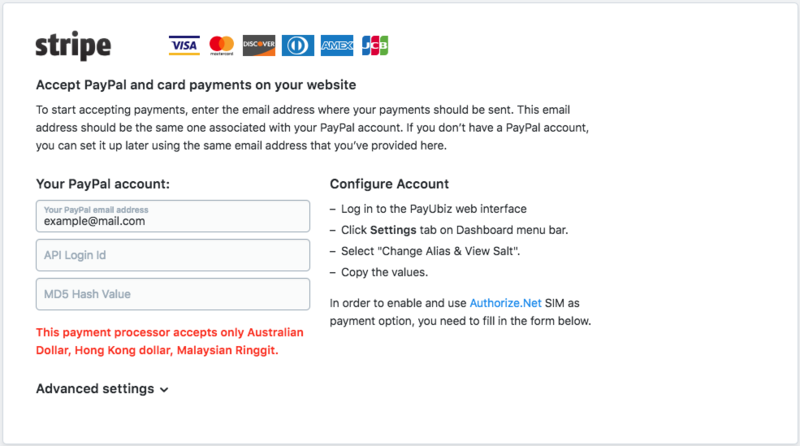 It is possible to quickly enable/disable the payment method in a storefront right in the payment settings of the Ecwid Control Panel: find your payment method > switch the toggle to the disabled state. If a merchant needs to remove a payment method completely, go to Ecwid Control Panel > Apps > My Apps > remove the app from the list. Once the settings are saved there, Ecwid will send them in an HTML form with a POST request to your payment URL with order details when customer chooses to pay with the new payment method. The request will contain all data from your application storage, including public and other keys that were specified. You can use the public key of the application storage to save data for accessing in the storefront. More details on how to handle such data: Public application config.